On behalf of the entire Wichita Maintenance Learning Center team, welcome! We are proud of our facility which allows us to provide customers with the industry’s leading theory and practical (hands-on) training. 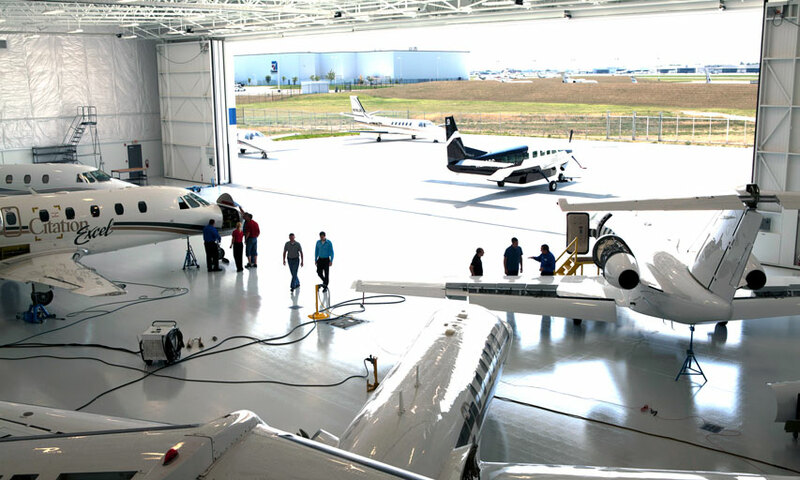 Our center supports a variety of OEMs and products that includes Textron Aviation Cessna and Hawker Beechcraft products; Pratt & Whitney Canada engine courses; Honeywell engine, APU, and avionics courses; as well as training for Piaggio technicians. New for 2018, eligible training courses will now receive a complementary iPad on the first day of training. For more information on the new iPad program please contact the center. Thank you for choosing FlightSafety as your trusted training partner! FlightSafety Customers enjoy special car rental rates from Enterprise and Hertz. Please contact the Learning Center directly to take advantage of the discount.